See the best 10 photos from Sunday. 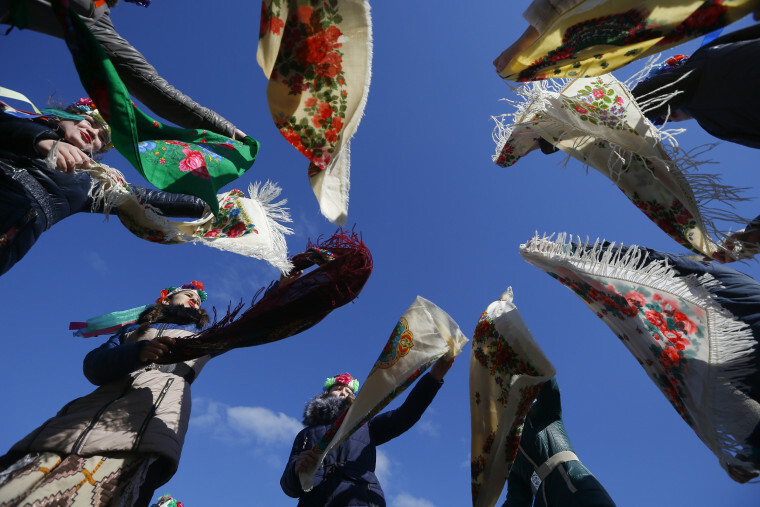 Belarusians dance during Maslenitsa celebrations, or Shrovetide, to say farewell to winter in the village of Otradnoye, 93 miles south of Minsk, Belarus, on March 13, 2016. Maslenitsa is a traditional Russian and Belarusian holiday marking the end of winter that dates back to pagan times. 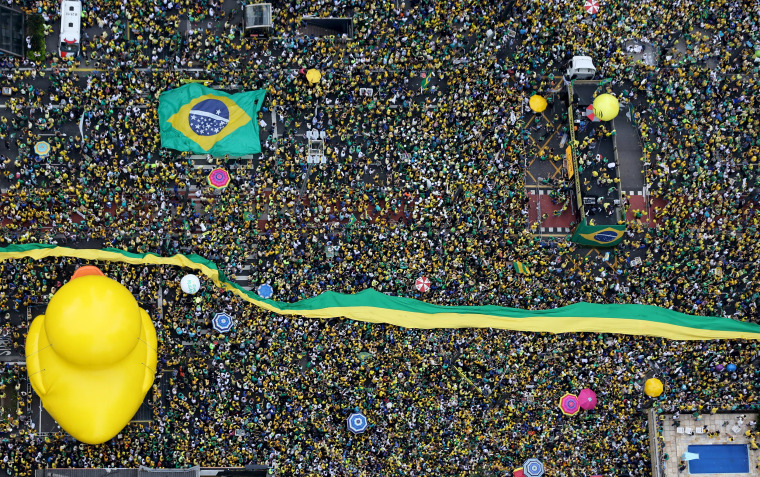 Demonstrators attend a protest against Brazil's President Dilma Rousseff, part of nationwide protests calling for her impeachment, in Sao Paulo, Brazil, on March 13, 2016. A participant from Indonesia waits to perform a dance during the last day of World Culture Festival on the banks of the river Yamuna in New Delhi, India, on March 13, 2016. 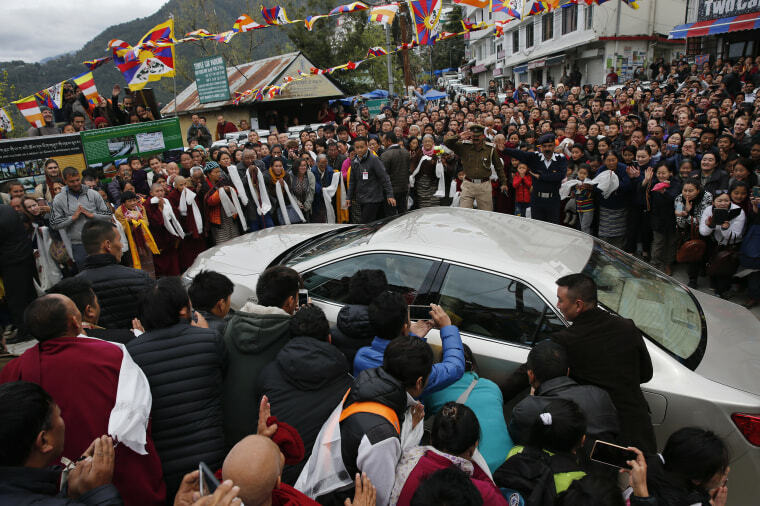 Exile Tibetans welcome their spiritual leader the Dalai Lama as he arrives in Dharamsala, India, on March 13, 2016. 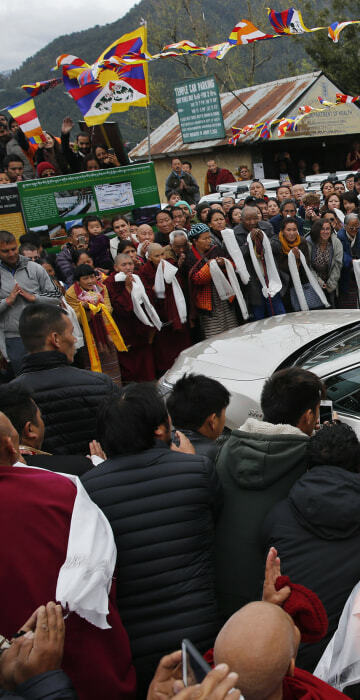 The Tibetan leader returned Sunday after getting a medical treatment at Mayo Clinic in Minnesota. 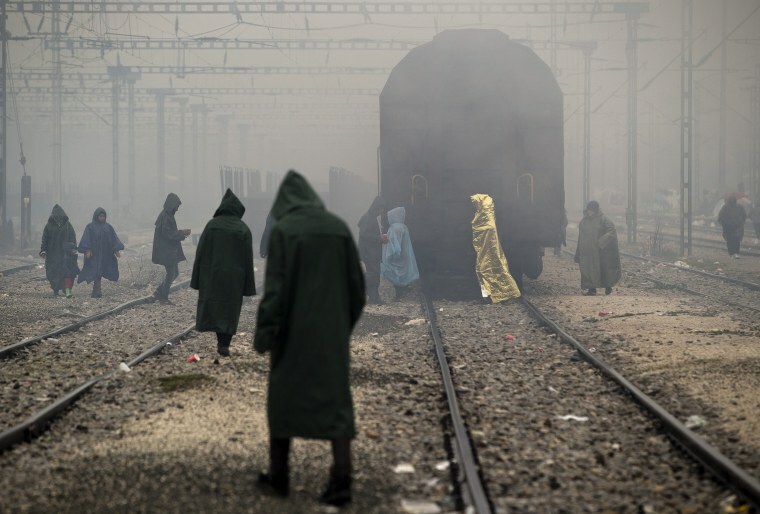 Migrants, one wearing a thermal blanket, walk on railway tracks at the northern Greek border station of Idomeni, on March 13, 2016. Bad weather returned after a brief pause and conditions in the refugee camp on the Greek-Macedonian where about 14,000 people are stranded have further deteriorated, many of its residents struggling struggling to cope with the many challenges posed by the heavy rain. 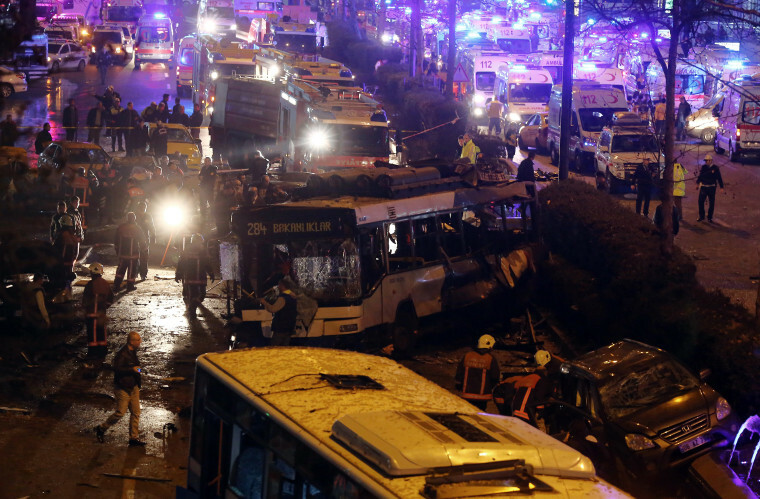 Emergency services work at site of an explosion in the busy center of Ankara, Turkey, on March 13, 2016. The explosion is believed to have been caused by a car bomb that went off close to bus stops. News reports say the large explosion in the capital has caused several deaths and many casualties. 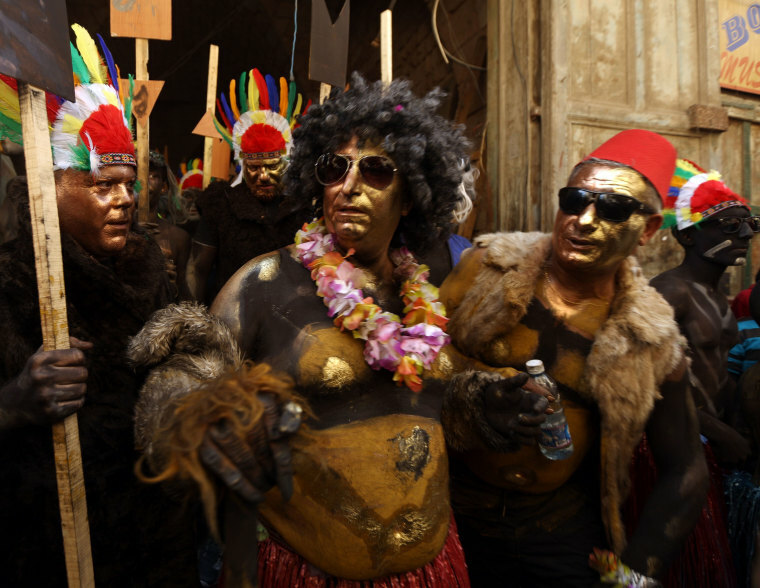 Revelers take part in the Zambo carnival held in the northern Lebanese city of Tripoli on March 13, 2016, to mark the last period of excess on the eve of the Christian Greek Orthodox lent. The inspiration of the annual Zambo celebration is unclear, despite it being a tradition that stretches back over a century to when an emigrant to Brazil returned to his native Tripoli bringing the carnival with him. 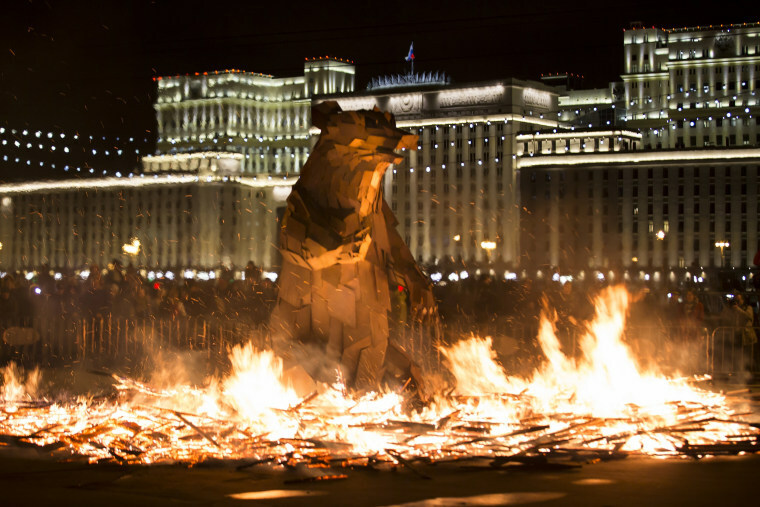 People watch the burning symbol of spring, which looks like a brown bear getting out of his den, created by Hungarian artist Gabor Miklós Szoke for the festival in Gorky Park during a celebration of Maslenitsa, or Shrovetide in Moscow, on March 13, 2016, with the building of the National Defense Center of Russian Defense Ministry in the background. Maslenitsa is a traditional Russian holiday marking the end of winter that dates back to pagan times. Pope Francis receives a copy of the Gospel of St. Luke from an aid during the Angelus noon prayer in St. Peter's Square at the Vatican, on March 13, 2016. 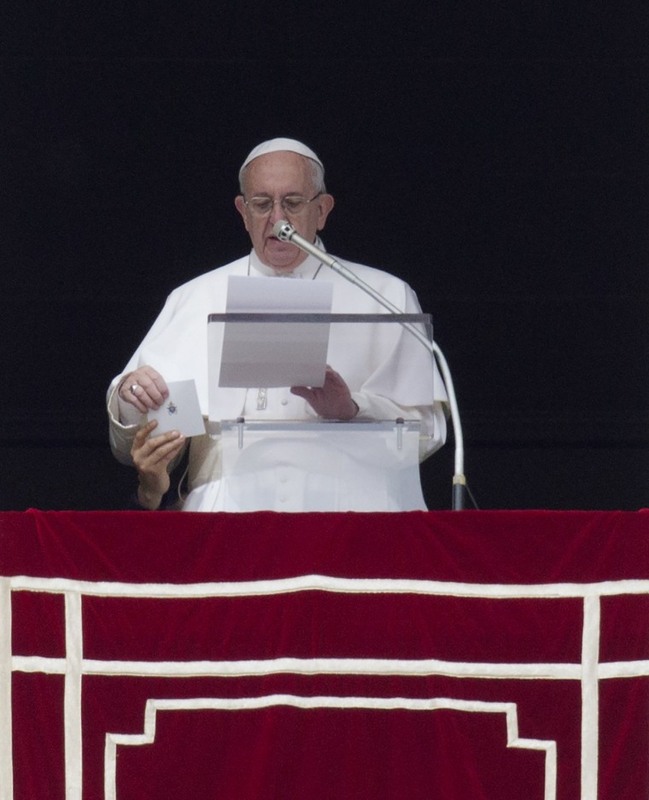 The pontiff is marking his third anniversary as pope by reinforcing his message of mercy and giving away 40,000 copies of the Gospel of St. Luke. 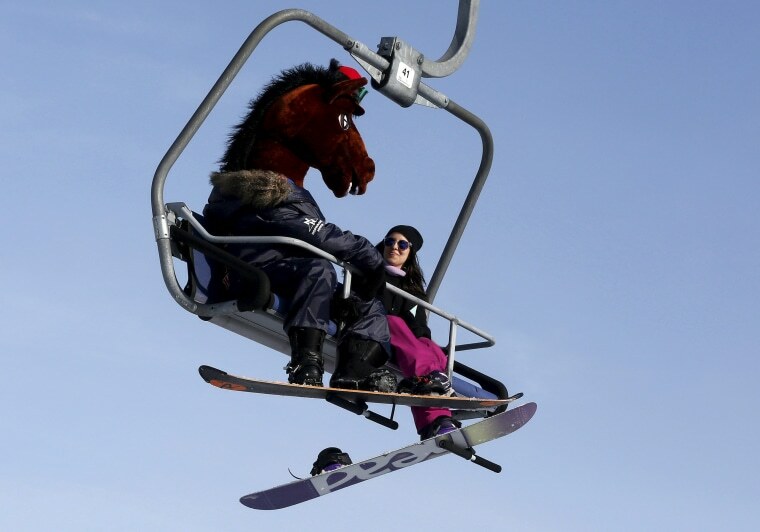 A snowboarder wearing a mask of a horse head rides a lift uphill at the Bobrovy Log ski resort in the suburbs of Krasnoyarsk, Siberia, Russia, on March 13, 2016.